"Truth from the sky must be confirmed and strengthened by truth of the earth. We must learn to listen and then to communicate." As an administrator, I would encourage and continue to model for staff how to get involved in their parish community. The Catholic administrator works as a steward of creation to enrich the culture of the school community. It is important to continue to celebrate monthly virtue assemblies and to have students read morning prayers in a school but that is only a small part of displaying our faith. Each provincial election draws caution and insecurity for the future of Catholic education. 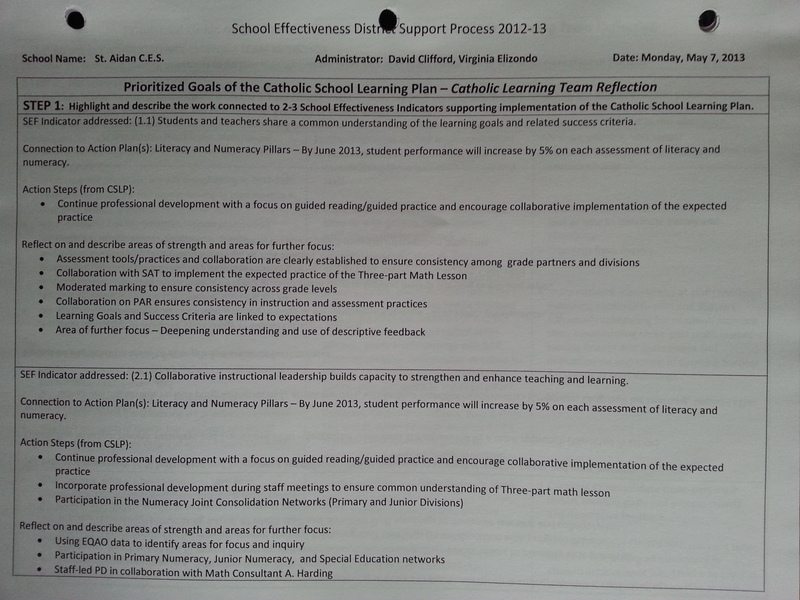 I think it is important to remind staff of how privileged we are to teach in a publicly funded Catholic school board. It is also important to communicate with the parent community how special our schools are by celebrating the unique opportunities and events in our schools. My Uncle Tom is a retired priest. He once stated that it should be clear when you walk into the school that is it is a Catholic institution. Upon reflection, that statement is not limited to the name fixed on the front of the school. It is not limited to the sacred symbols in the halls and classrooms. It is about a culture that you can hear as you pass by students on the playground where students embody the Catholic virtues of respect and empathy. It is a place where teachers are instruments of faith and work collectively in the interest of the whole community. It is also a place where the budget reflects Catholicity as a priority. As Catholic administrators, we are called to discern how our faith impacts decision-making and fosters a deep commitment to encouraging the working of the Holy Spirit. I understand that it is vital to have a clear understanding of the law in order to properly lead as a school administrator. In order to make proper decisions around health and safety as well as issues dealing with risk management, it is critical to be informed. It is also important to know what the procedures and policies are related to these areas. We can have all the symbols and be involved in an abundance of charitable projects throughout a school year – but do we take time to reflect on those experiences? It is important that our student hearts and motives are informed and inspired to do God’s work. Presented to District Support Committee and shared outcomes at staff meeting. Duties as assigned when administration absent from the school. Advocated on behalf of teaching staff. 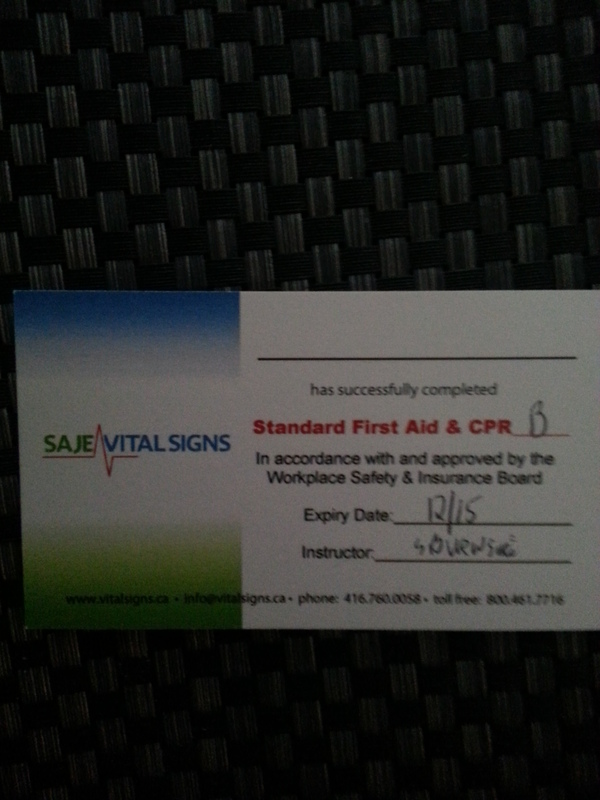 Learned strategies to prevent and reduce the frequency and impact of injuries. 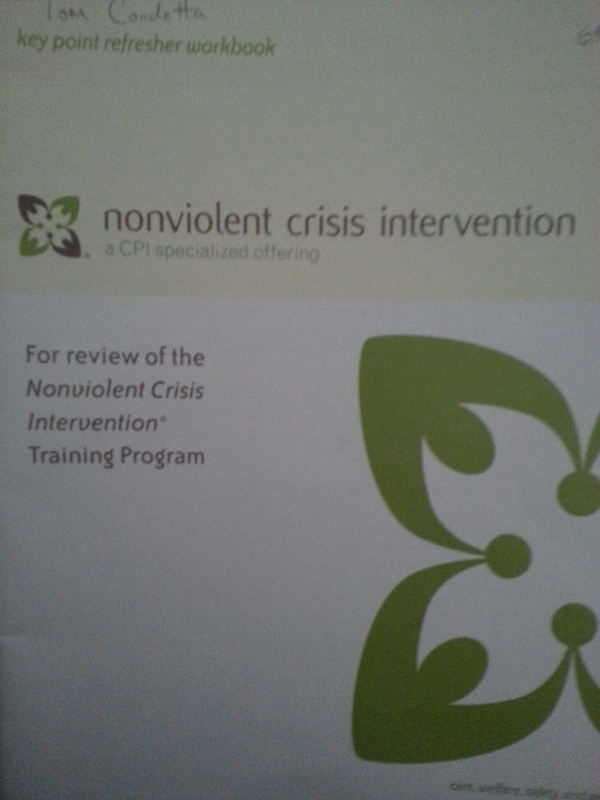 Learned safe and caring responses to aggressive behaviours. At the assessment in-service, I became familiar with administrative procedures for EQAO. 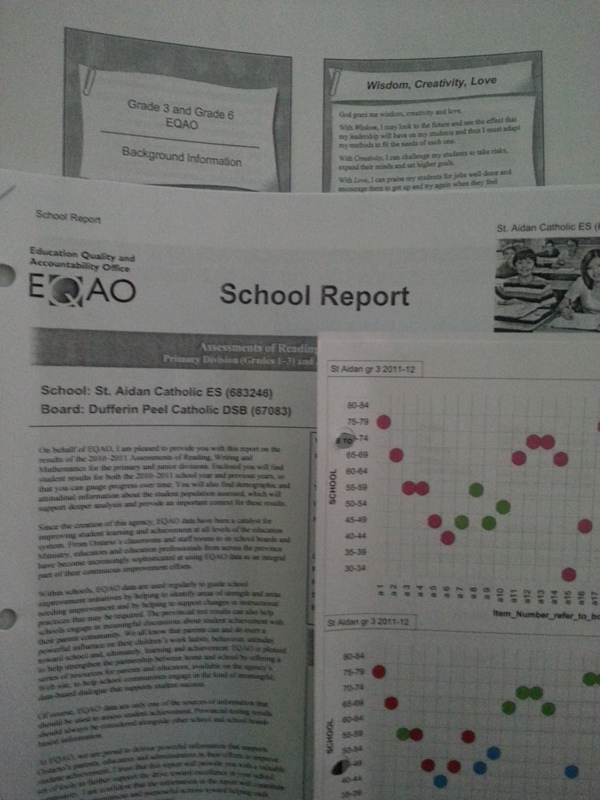 At the analysis in-service I reviewed EQAO results looking trends and patterns to later inform the CSLT. Developed with the support of the administrative team planning time schedules to support common planning time between grade partners. Was able to create multiple common planning periods for all staff. Participated in secondary transition meetings with to support PPM 156. Also have developed and fostered relationships year-round between special education departments and guidance at the secondary level. Co-Developed and piloted a spreadsheet to record and archive meeting minutes. Coordinated a community event in partnership with School Council ensuring accountability within GAP and financials. Worked closely with family ambassadors, administrative team and parish priest at Guardian Angles parish to develop a Pastoral Plan from 2007-2013. Established monthly "Raising a Village" activities in cooperation with committee of staff.